As we approach the 2017 peak season for advertisers, it seems like a good time to begin talking about planning for the 2018 peak season. 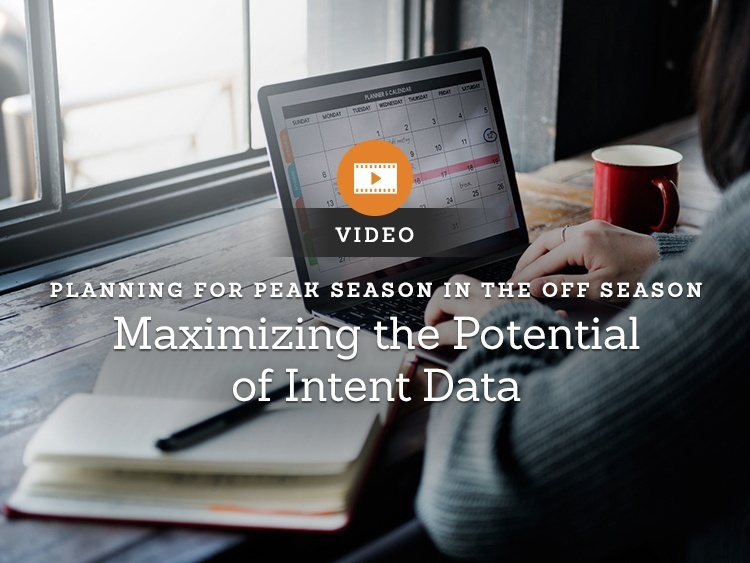 Your CRM program can be maximized throughout the year by maxmizing intent data during the upcoming off season. Since the 2017 peak season for many advertisers is upon us, it seems like the right time to talk about planning for 2018's peak season. Many advertisers limit their prospecting to seasons when sales are higher and the cost to acquire a new customer is lower. This is also the time when advertisers look to get the most from their current customers. So what if we flipped this thinking? Prospecting all year round – done right - can enable an even greater impact on sales during your strongest season. Instead of having 100,000 customers to market to, you now have 110,000. You'll have more customers, who will respond at a higher rate, spend more money and drive greater demand. When consumers raise their hand and tell you they are interested and tell you what they are interested in, it doesn’t matter the season. Put targeted messages in front of them and convert them to customers. Maximize the impact of this intent behavior to grow your customer file now, and optimize its value in peak season.